Several rare, early-print editions of the cards are worth thousands of dollars, with one particularly hard-to-find card selling for close to $US100,000. “If the Black Lotus gets $US70,000 tonight, it will be worth millions in about 20 years,” Bryan Goldberg told me last week over the phone. At the time of our conversation, bids for the coveted Black Lotus hover around $US60,000. Goldberg is betting that the price will balloon by $US10,000 in just a few short hours. 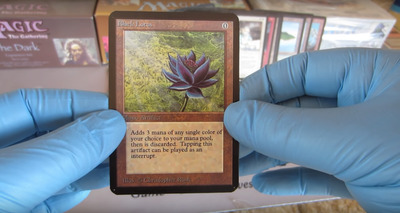 If his call is right, Goldberg estimates that the Black Lotus’ value will compound many times over in the coming years. By 2038, he predicts, it will be worth a minimum of $US1 million. 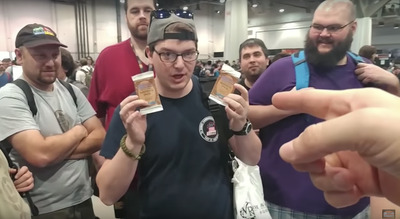 YouTubeA man holding up packs of ‘Magic: The Gathering’ cards at a Las Vegas showcase in April. Goldberg estimates that since the ’90s, billions of “Magic: The Gathering” cards have been printed, with more and more decks released all the time. Today, you can buy a 60-card “battle deck” for about $US10. 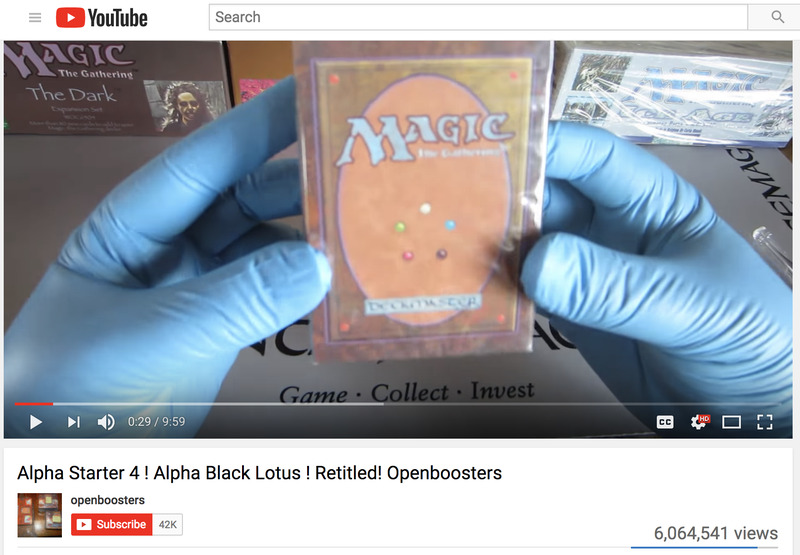 YouTube/openboostersA mint-condition Alpha Black Lotus. YouTubeOne YouTube video in which a collector discovers a rare ‘Magic’ card in a vintage deck has more than 6 million views. On YouTube, for instance, a single video of someone buying a collection of cards for $US21,000 has more than 850,000 views and hundreds of comments trailing below. 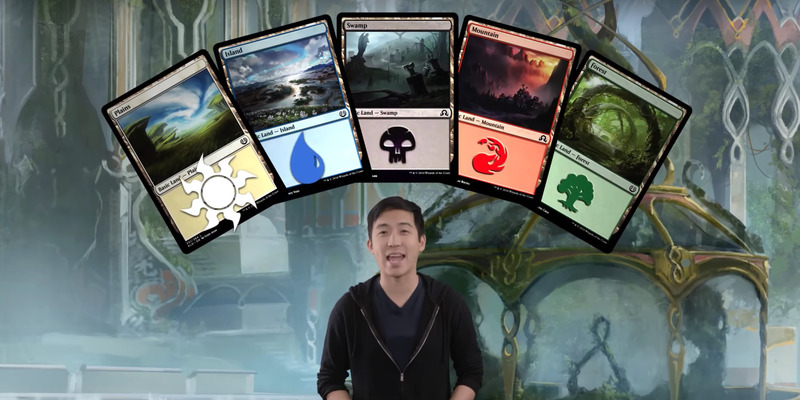 It’s not uncommon for videos of people opening decks of cards, brokering trading deals, or examining vintage decks to accrue hundreds of thousands of viewers. The video has over 6 million views. Some commenters say they have watched the 10-minute video multiple times, over and over again. No. As it turns out, he was way off, by more than $US15,000. Goldberg’s bullish prediction that the card will one day be worth $US1 million or more could end up being wrong – but the recent auction shows there’s also a very real chance he’s right. In 20 years, that same piece of cardboard could be worth more than a house.